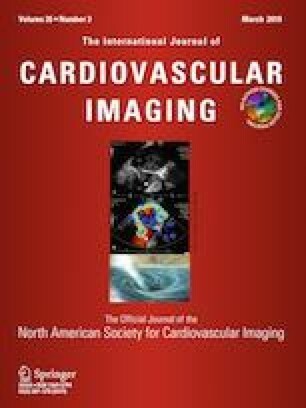 To explore the potential role of two- (2D) and three-dimensional (3D) cardiac magnetic resonance (CMR) feature tracking (FT) myocardial strain analysis in identifying sub-clinical myocardial systolic and diastolic dysfunction in acute myocarditis patients with preserved ejection fraction (EF). Prospective two centre study-control study. Thirty patients (9 female, 37.2 ± 11.8 years.) with a CMR diagnosis of acute myocarditis according to the Lake Louise Criteria and preserved EF (≥ 55%) were included in the analysis. CMR data from 24 healthy volunteers (11 female, 36.2 ± 12.5 years.) served as control. 2D and 3D LV tissue tracking analysis were performed in a random fashion by two double-blinded operators. Variables were checked for normality and analysed with parametric test. The baseline characteristics of myocarditis patients with preserved EF and the healthy volunteers were perfectly comparable, except for the LV mass index and T1 and T2 mapping values (p < 0.001). The results of the interobserver variability in the 2D and 3D LV CMR FT myocardial strain analysis were p > 0.42, ICC > 0.80 and η2 > 0.98. There was no statistical difference in 2D and 3D global radial, circumferential and longitudinal strain peak (%) and both systolic and diastolic strain rate (1/s) between acute myocarditis with preserved EF and healthy volunteers (all p = ns). There were no difference in 2D and 3D global radial, circumferential and longitudinal strain peak and both systolic and diastolic strain rate of the LV between acute myocarditis patients with preserved ejection fraction and healthy volunteers. This research was partially supported by a grant from the Italian Ministry of Health: “Giovani Ricercatori—Ricerca Finalizzata”, project number GR-2013-02356832. The funder had no role in this study. All the authors are aware of the content of the manuscript and have no conflict of interest.